Eight to Ten scholarships are offered every year to Sri Lankan students for studying Hindi at the Central Institute of Hindi, Agra , Uttar Pradesh ( India ) and Delhi. Applications are issued by the Indian Cultural Centre (ICC) in Colombo in the month of April. Normally, the one-year full-time course commences in the month of August and continues up to April in the following year. Maximum age limit is 35 years as on 1 st August every year. Five to seven scholarships are offered every year to Sri Lankan students for studying Music, Dance, Painting etc. at graduation/post-graduation level in the Indian schools/universities spread all over the country. Indian Council for Cultural Relations (ICCR), New Delhi sponsors the scholarships. 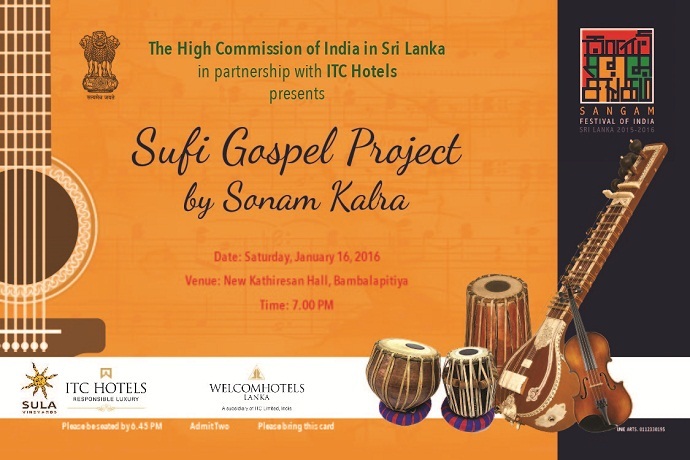 Applications are issued by the Indian Cultural Centre (ICC) in Colombo in the month of January/February. Last date for receiving completed application at the Information Wing of the Indian High Commission is 28 th February every year. Age limit is 20 to 25 years as on 31 st March every year. Working knowledge of English is compulsory. Scholarship is initially awarded for one year commencing from July of a particular year to June of the next year. However, the Council can consider extension for maximum another two years depending on the duration of the course, student's progress, comments of the institutions/Gurus etc. ICCR needs an undertaking from the student to undergo AIDS test in India and the event the scholar is found HIV positive, he/she has to return back to his/her own country. Stipend @ Indian Rs. 3000/- per month. Contingent Grant to buy books costumes etc. @ Indian Rs. 3000/- per annum. House rent @ Indian Rs. 2000/- per month for metropolitan cities and Indian Rs. 1500/- per month for other cities, if hostel accommodation is not provided. Actual reimbursement of tuition fee but if the student is interested to learn dance, music from a teacher/guru of his/her own choice (privately) maximum the Council can pay is Indian Rs. 700/- p.m. as tuition fee. Re-imbursement of medical claim as per actual. International airfare has to be met by the student himself/herself. Status of the visa should be "STUDENT VISA"